Secret Court Cream is a super-moisturizing cream specially designed to protect your skin from aging and dryness. Containing 32 herbal medicinal ingredients that were once available exclusively only for the court royal members, Secret Court Cream brings youth & energy back to you skin. It's condensed ointment-type cream melts down instantly on your skin. You can apply it thoroughly on your face and on troubled spots as much as you please. Do you have the what it takes to be a royal Empress? 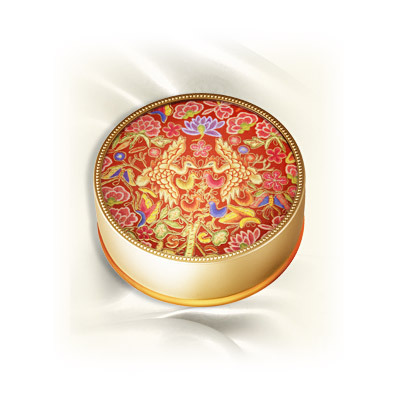 Experience the Newest product by The History Of Whoo. An ointment type cream that rejuvenates and revives tired skin. Uses 32 precious herbal ingredients from the royal courts of emperors and empresses. Anti-wrinkle, elasticity, and evening out the skin tone function. Experience the power of the Royal Courts that have been kepted secret for hundred of centuries. The newest addition to the Whoo family. Take a small amount and use the fingertips to apply evenly to the entire face. Nhấn vào nút bên dưới để thêm Secret Court Cream vào giỏ hàng bạn yêu thích.